As children we are all taught the importance of brushing twice a day to keep teeth and gums healthy and our breath fresh. However by only brushing in the traditional way we ignore the plaque building up between the teeth which can lead to decay and tooth loss. Interdental brushing, cleaning between the teeth, can remove as much as 40 percent more plaque from our teeth, significantly improving our oral health. By using floss and interdental brushes you can ensure your teeth and gums stay healthy but it is also important to book regular visits with a dental practitioner and hygienist. 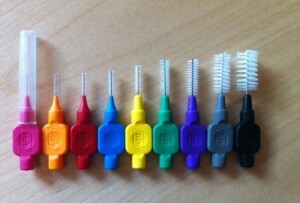 Our expert team will give your whole mouth a deep clean and also teach you the best method of using interdental brushing and flossing techniques to keep your mouth healthy.